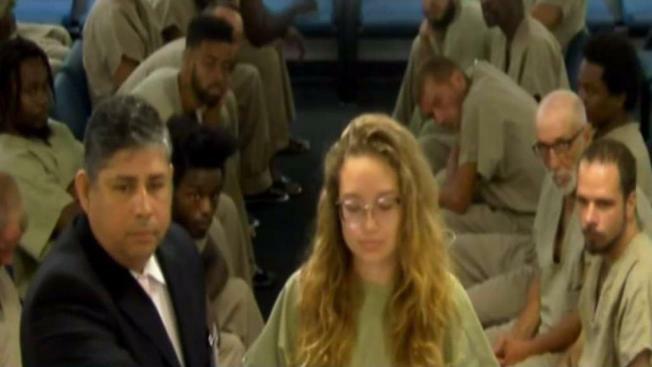 NBC 6's Ari Odzer has more as one of the three teens arrested on Tuesday, Jordan Salter, appeared in bond court and faced a judge for allegedly bringing a knife to Marjory Stoneman Douglas High School. Two students were arrested for bringing weapons to school on Tuesday in separate incidents. One student was Baker Acted after posting an online threat on social media. Two Marjory Stoneman Douglas High School students were arrested for allegedly bringing weapons to the Parkland school on Tuesday while another student faces charges over an online threat. "My daughter's never been in trouble, she should've never had a weapon," said her father, Scott, during a Wednesday bond court hearing. Salter was given a $12,000 bond and ordered to stay away from the school. A second student allegedly had a 9-inch knife in his backpack that was found after school officials were alerted to it on Tuesday by a student who saw it during a school bus ride on Monday - while a separate Stoneman Douglas student faces a misdemeanor charge for making a threat on social media. NBC 6's Laura Rodriguez reports on the latest developments that occurred in Marjory Stoneman Douglas High School. "A Broward Sheriff's Office deputy responded to the school to investigate a tip and interviewed the 10th-grader about photos he shared on Snapchat," BSO said in a statement. "In one image, the teen displays a gun in his waistband. In a second image, he shows off bullets. The detective said both photos had threatening messages; one message was directed to a person named 'Josh.'" 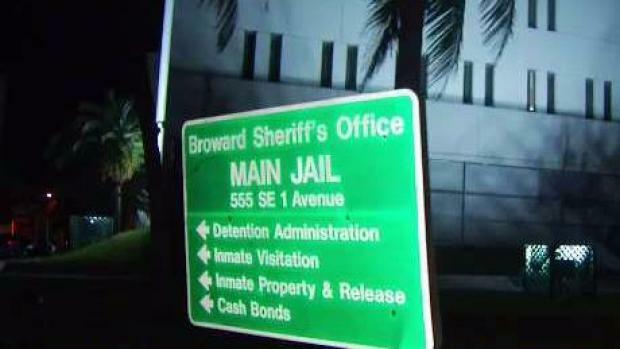 The teenager was held under Florida's Baker Act and taken to a facility for a mental health evaluation.